23andMe makes a great gift for family members or friends. Our saliva collection kits offer a convenient method for DNA collection; most people who are able to spit can provide a sufficient sample for our laboratory to analyse. DNA Relatives tool. Learn more. 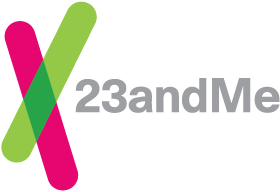 Learn more about the 23andMe Service Options. Kits purchased through the online 23andMe store are connected to your order’s email address. You must register your collection kit prior to mailing your saliva sample, however, your kit barcode will be emailed to the order email address if your unregistered kit arrives at the laboratory. When purchasing through Amazon.com you purchase your saliva collection kit and service through the retailer. You must register your collection kit prior to mailing your saliva sample in order to receive the 23andMe service. Kits available for sale through one of these authorized retailers are only intended for use within the United Kingdom. Kits available for sale through one of the authorized retailers are only intended for use within specific the United Kingdom. Individuals must provide a sample and return the collection kit from the same country to which the kit was shipped by 23andMe. If our store is unable to recognize your address, but you are certain that your shipping address is correct, feel free to proceed with your order. Alternatively, you may purchase through one of our authorized resellers. 23andMe has a 30 day refund policy; the kit cannot already be analysed or in the process of being analysed by the lab. Be sure to read the full policy. *The 23andMe PGS test includes health predisposition and carrier status reports. Health predisposition reports include both reports that meet US FDA requirements for genetic health risks and the 23andMe Type 2 Diabetes health predisposition report which is based on 23andMe research and has not been reviewed by the FDA. The test uses qualitative genotyping to detect select clinically relevant variants in the genomic DNA of adults from saliva for the purpose of reporting and interpreting genetic health risks and reporting carrier status. It is not intended to diagnose any disease. Your ethnicity may affect the relevance of each report and how your genetic health risk results are interpreted. Each genetic health risk report describes if a person has variants associated with a higher risk of developing a disease, but does not describe a person’s overall risk of developing the disease. The test is not intended to tell you anything about your current state of health, or to be used to make medical decisions, including whether or not you should take a medication, how much of a medication you should take, or determine any treatment. Our carrier status reports can be used to determine carrier status, but cannot determine if you have two copies of any genetic variant. These carrier reports are not intended to tell you anything about your risk for developing a disease in the future, the health of your fetus, or your newborn child's risk of developing a particular disease later in life. For certain conditions, we provide a single report that includes information on both carrier status and genetic health risk. For important information and limitations regarding each genetic health risk report, visit 23andme.com/test-info/. **This data has undergone a general quality review however only a subset of markers have been individually validated for accuracy. The data from 23andMe's Browse Raw Data feature is suitable only for research, educational, and informational use and not for medical, diagnostic or other use.